“So now they’re trying to get new GMOs based on gene editing and gene drives. 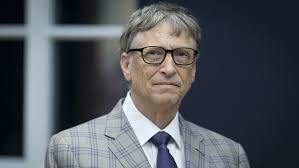 In gene editing, not only is Gates financing the research, he has created a company for the patents. It’s called Editas. So, he will collect rents when gene editing is pushed through”, Dr Shiva says. Indicating that is following Monsantos and Bayers footsteps – of imagining a world of agriculture without farmers, farming without farmers, farming with drones, farming with spyware in the tractors, farming with robots, farming with artificial intelligence – Dr Shiva says, meanwhile, not only people are people being killed, but butterflies, bees and pollinators, are also being destroyed. Criticizing Monsanto of “illegally collecting royalties via Indian seed companies” despite the fact that its “Bt cotton seed does not have a patent”, Dr Shiva, “With its push for “more royalties” the price of seed “jumped 80,000 percent”, which became the main reason why in the suicide belt of India – which “overlaps largely with the cotton belt” -- 310,000 Indian farmers have committed suicide”. Insisting that Monsanto “lost”, Dr Shiva says, “They wanted to declare the genetically engineered Bt as a chemical for which they wanted a product patent, which means wherever it would have existed, no matter where, it would have been their property. And the existence of Bt in the seed would have been an infringement of their patent.” But “they totally lost with their agenda”, as they were functioning “illegally” in India.